Please select a size. UK 7 - In StockUK 7.5 - In StockUK 8 - In StockUK 9 - In StockUK 10 - In StockUK 11 - In StockUK 12 - In StockUK 13 - In Stock Please select a size. 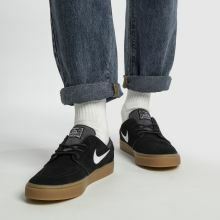 Black on gum; it's a sneakerhead staple and the Nike SB Zoom Stefan Janoski is no exception. 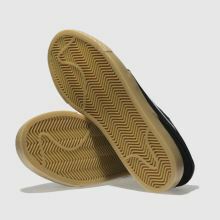 The sturdy black suede skate shoe features a flexible rubber outsole with herringbone tread for enhanced traction and durability. Swoosh branding completes.